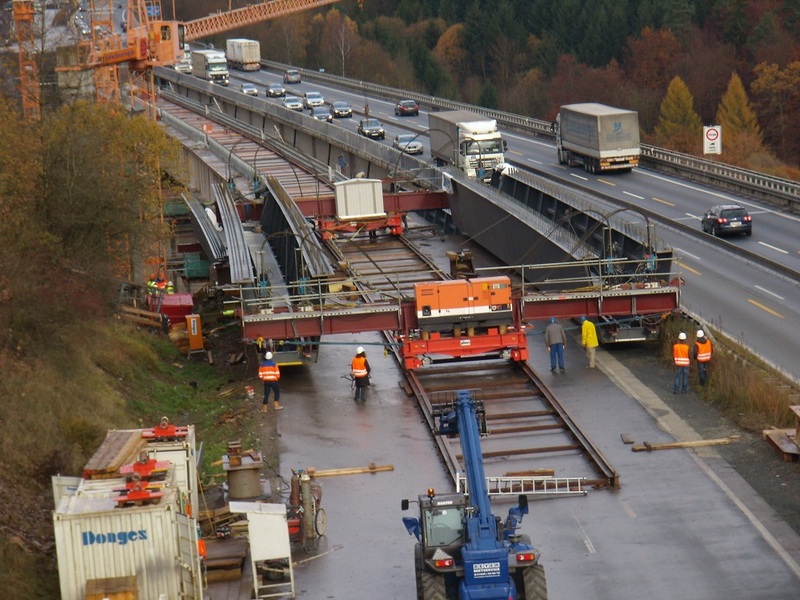 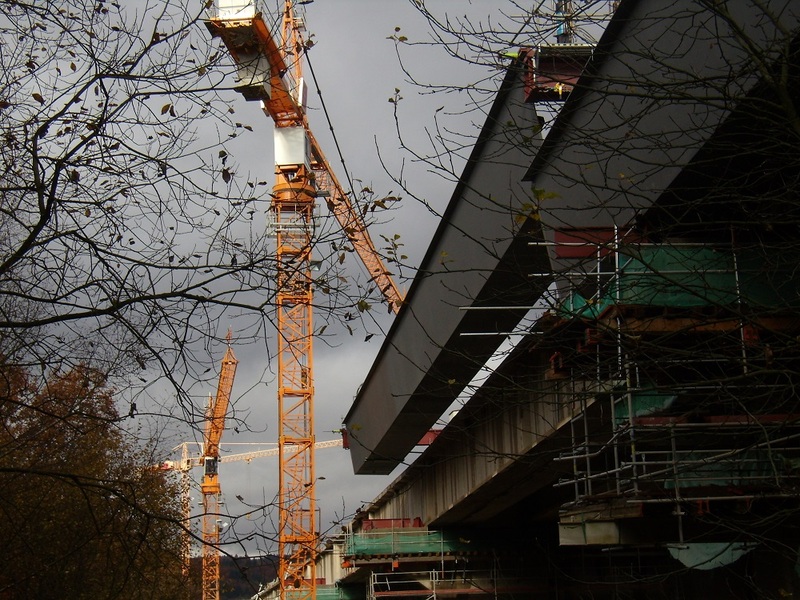 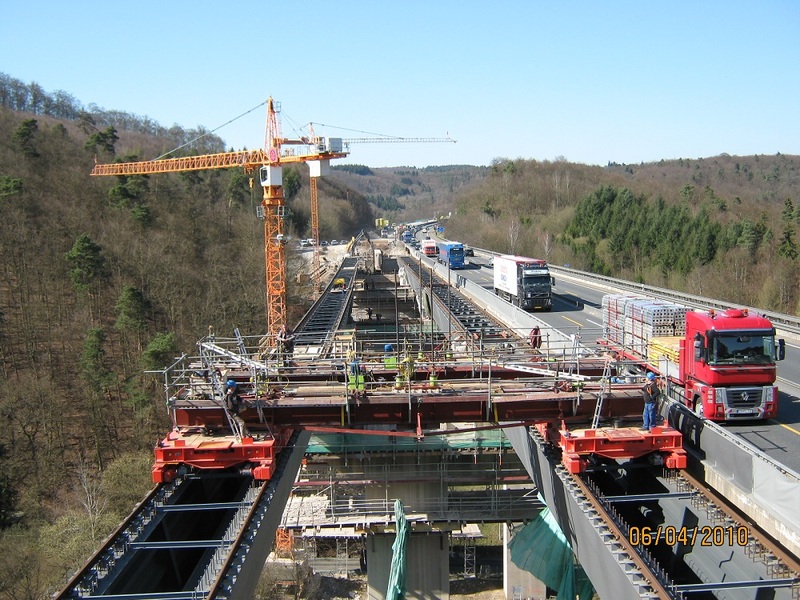 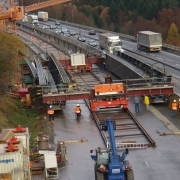 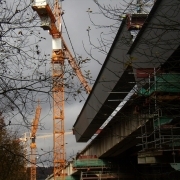 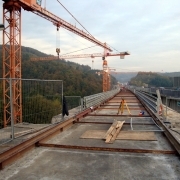 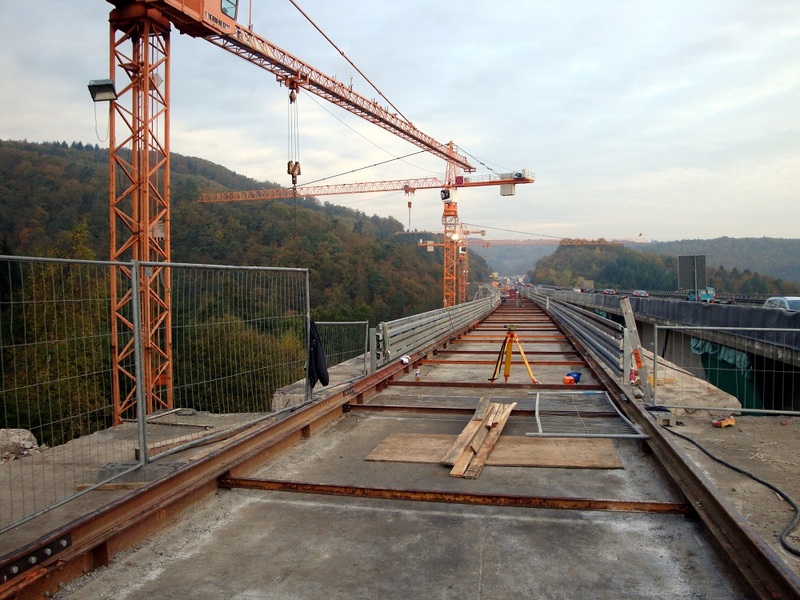 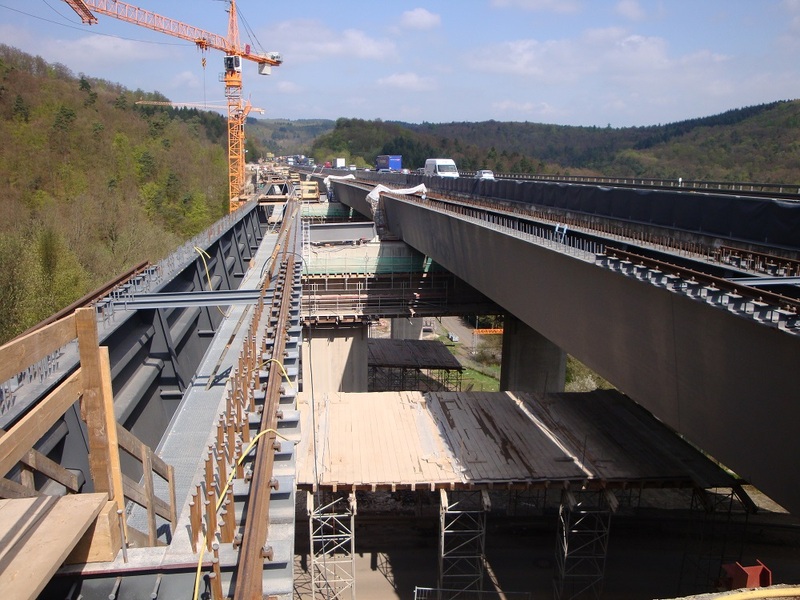 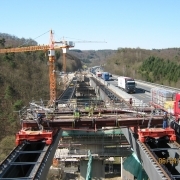 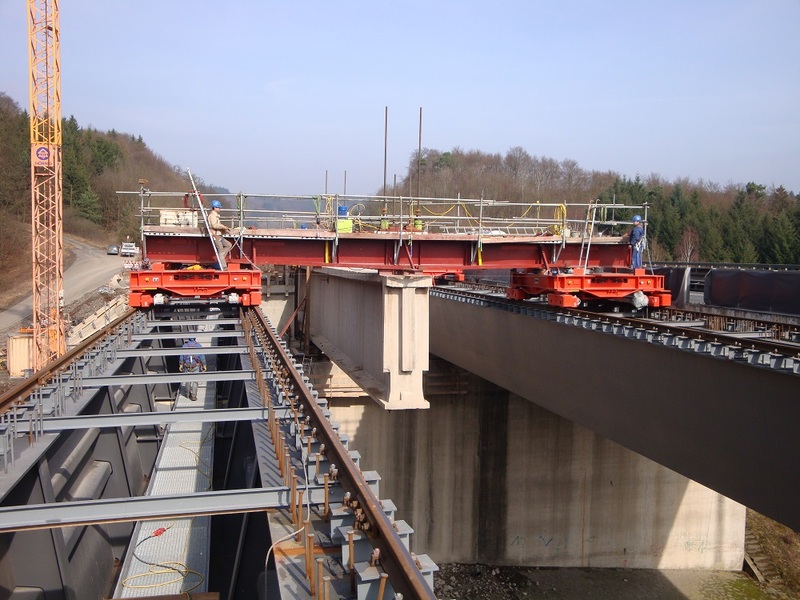 Replacement of a 6-span steel composite deck bridge as part of the A45 motorway near Windelbach (Dillenburg) and dismantling of the existing pre-stressed concrete bridge. 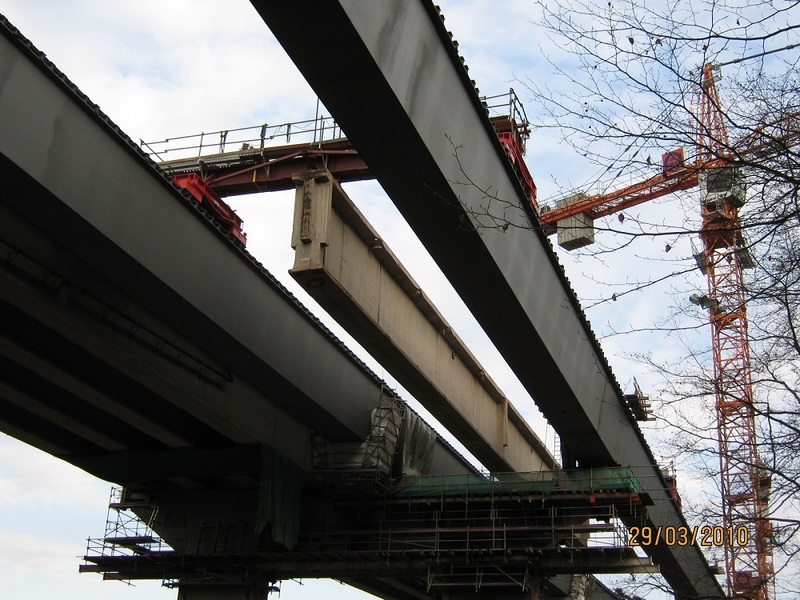 Per driving direction, the six bridge spans are designed as two-cell, walkable steel composite cross-sections. 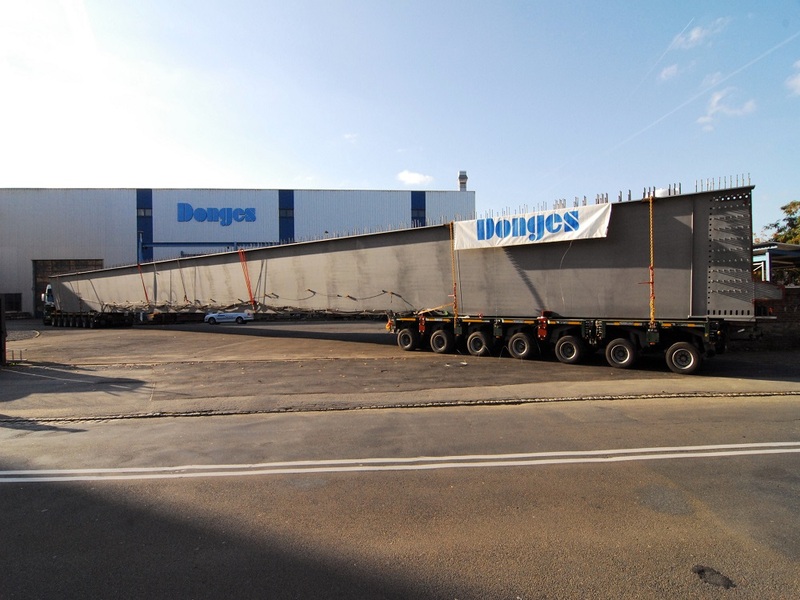 The 54 m long, approx. 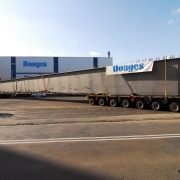 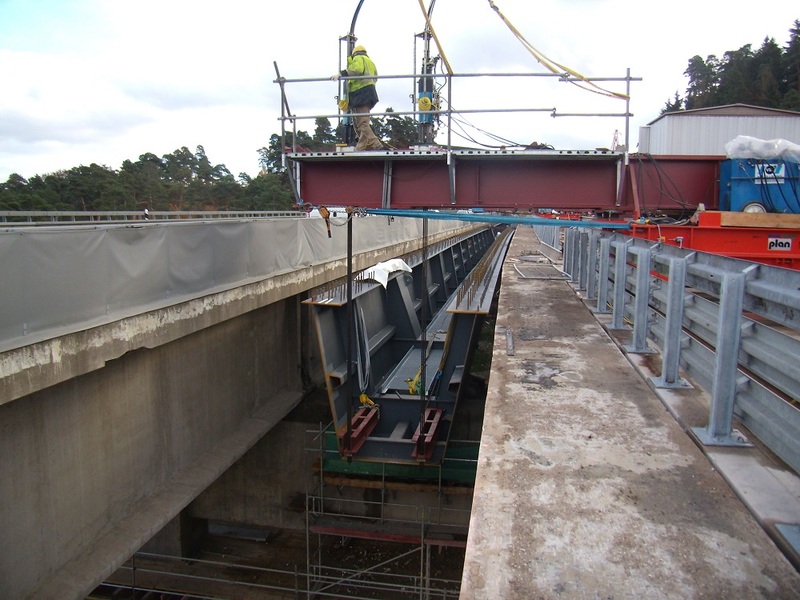 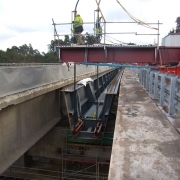 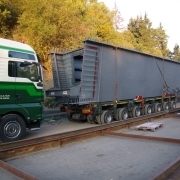 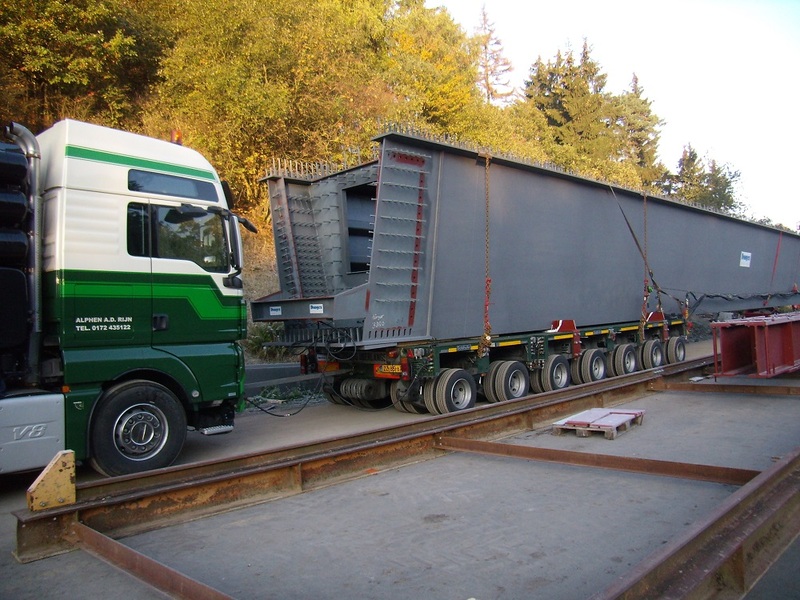 105 t steel girders are delivered via the motorway and installed using heavy-duty railcars. 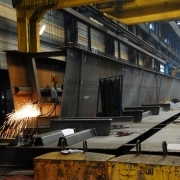 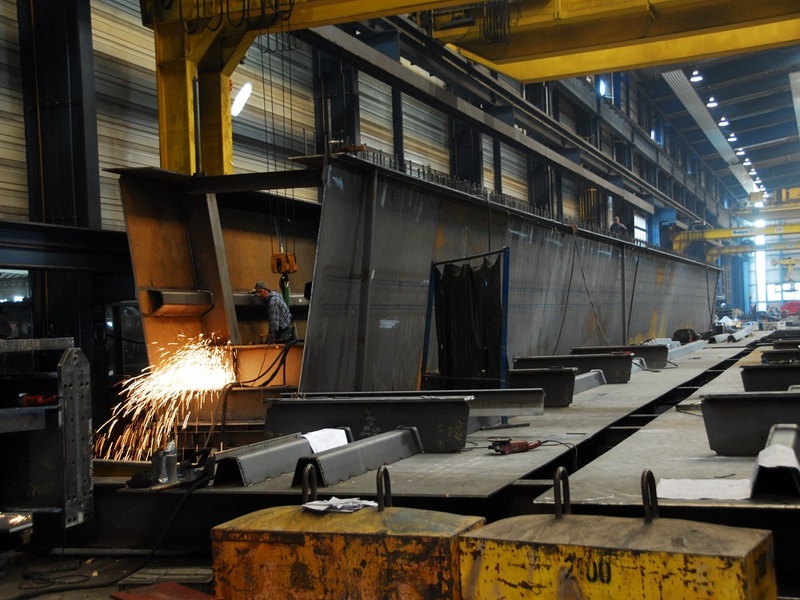 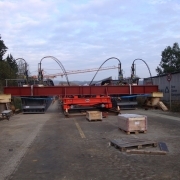 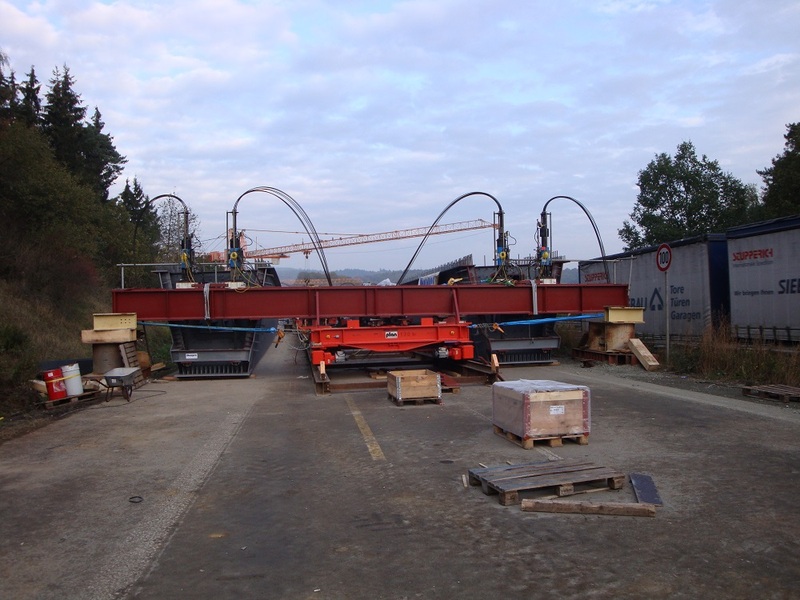 After production of the 307 m long steel girders, they are cross-fed into their final position. 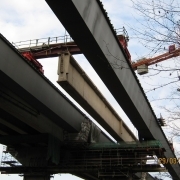 The roadway is made of precast slabs of cast-in-place concrete. 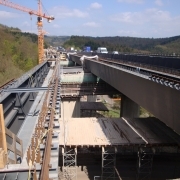 Adam Hörnig Baugesellschaft mbH & Co.